Blue Whale – named for its blue-gray color, this huge cetacean may grow to be roughly 100 feet long and weigh more that 120 tons! A blue whale eats about 4 tons of krill per day during the feeding season! This means that about 40 million krill are eaten every day for six months by a blue whale! The tongue of the blue whale can be as big as a Volkswagen. 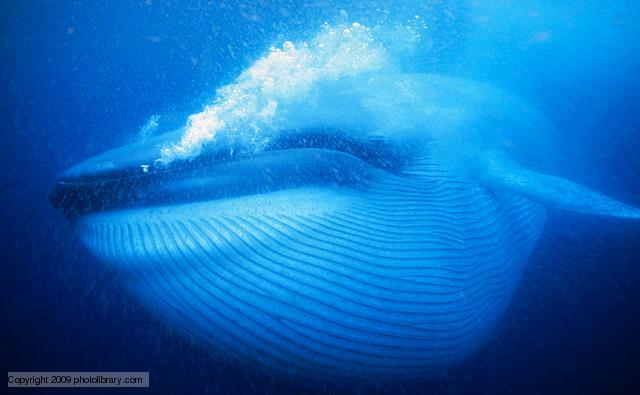 The blue whale is the loudest animal on earth! Hear the blue whale.